It was an up-close opportunity not to be passed up. The highlight of the evening was going to be the first meeting between a woman from Long Island and a man from Brooklyn who was the recipient of her kidney. It was random and altruistic, but more of the latter than the former. The kidney transplant took place at a hospital in Manhattan back in January and was facilitated by Renewal, the organization that matches donors with would-be recipients and is now marking the 500th such transplant since its founding 12 years ago. Renewal is as remarkable as it is unique. It can be said that a key component to Jewish life today consists of our frequently being asked to give something, though this type of exchange or communication is usually about making a financial commitment of one kind or another, and that is actually something we have all grown accustomed to and accept. But that is not the case in this instance. Last Wednesday evening we were at the home of Hedy and Ben Lipschitz in Oceanside, New York, for what was billed as a “Kidney Donation Awareness Event.” We were told earlier in the day that the highlight of the evening was going to be the first meeting between a kidney donor and recipient. Although I have attended Renewal events in the past, I thought that this would be something memorable as well as extraordinary, and it indeed was. The information that I did not have was that the hostess of the evening, Hedy, was the kidney donor, and she was going to meet the person who received her kidney, a man named Yosef who also resided in New York. As an observer of things of this sort, let me just say that there are multiple tiers relating to events like this. Most of us experience the idea of altruistic kidney donation through newspaper or online stories like this or through the emails we receive on a regular basis. A second level is an event like the one we attended last week, where you actually get to meet as well as listen to people involved in the process expound on their motivations that moved them in the direction of becoming a kidney donor. The third tier, of course, is much more meaningful, as that involves the actual donor and recipient, the facilitators in an organization like Renewal, the medical personnel involved in the process, and the families of the donors and recipients. The dynamic here is akin to watching a life be saved in slow motion. It is as selfless as it is courageous. It sounds quite doable, but even for those who make the decision to move forward with the procedure, like Hedy Lipschitz and other donors like the individual we spoke with and highlighted in this space a few weeks ago, it is inevitable that one will question oneself repeatedly until the deed is actually done. Listening to Hedy speak in her home last week, one cannot help but marvel at how cool her approach was once she decided she wanted to donate a kidney. The recipient, Yosef, a Sephardic man who spoke halting English, was accompanied by his son, who expressed his father’s and his family’s gratitude and appreciation. Now that Yosef has a new healthy, functioning kidney, it is difficult for us to know what his life was like prior to the operation. Aside from the assortment of difficulties that are associated with kidney disease or organ deficiency, many of the recipients prior to the surgery are dependent on kidney dialysis — very often several days a week for quite a number of hours. Following Hedy’s remarks, Rabbi Josh Sturm, the dynamic director of outreach at Renewal, fielded a series of pertinent and interesting questions from those present. Some of the things that I discerned from the exchange were that harvesting a kidney from the donor is performed by doctors laparoscopically. The donor and recipient are in nearby operating rooms so once the kidney is removed from the donor it is almost immediately placed inside the recipient. The hospital stay, depending on the recovery of the individual, is usually anywhere from two to three days. In Hedy Lipschitz’s case, she was in the hospital just one night, she said, because she was feeling well and preferred to be home for Shabbos rather than in the hospital. The discussion about the details surrounding kidney donations seems a rather simple, matter-of-fact conversation. But that really underestimates the greatness of the people who make the decision to donate. We covered some of the information on this subject a few weeks ago, but it is important to reiterate that despite the fact that Renewal has facilitated over 500 kidney transplants to date, there are still more than 400 people on the Renewal list alone. 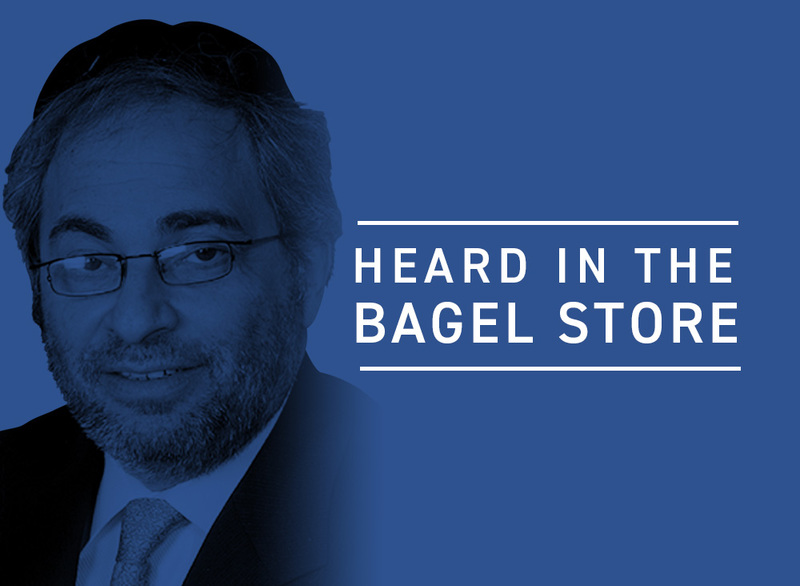 On a national level in the United States, Rabbi Sturm explains, there are currently over 96,000 people waiting for kidneys. The average wait can be seven to eight excruciating and difficult years. Sadly, some do not make it. Interestingly, someone asked about young children who are in need of kidneys and where those donors come from. Josh explained that a young child, aged three to eight, can find a suitable candidate in a woman who is under 5’ 3” and weighs no more than 125 pounds. Other donor–recipient matches are usually people in a similar age bracket. In this case, both Hedy and Yosef are in their sixties, while the donor and recipient we focused on a few weeks ago were both men about 65 years old. Renewal was founded 12 years ago by Boro Park resident Mendy Reiner. It started when Mendy met an old friend and asked about his wellbeing. The man told Mendy that he needed help, and Reiner automatically assumed that the individual was in need of financial assistance. Mendy asked him how much he needed to deal with whatever issues he was having, and the man explained that no, his problem was not financial but rather that he was dealing with kidney failure and needed a new kidney. Mr. Reiner placed an ad in a local Jewish newspaper and, to his surprise, people started to respond and express interest in helping out and in some cases even giving one of their kidneys. A person’s natural biological composition includes two kidneys. Why that is so is a question for medical experts. Websites dedicated to the subject say that a person can lead a perfectly normal and healthy life with one kidney. Interestingly, one of the websites perused for this article said that one in 1,000 people are actually born with just one kidney. There was a story of a woman in Israel who was undecided about donating a kidney, and during the screening process it was discovered she actually had three kidneys. So, you see, just about anything is possible. Of course, it is important to note that all of this is done altruistically and there are no financial inducements to get someone to donate a kidney. In fact, that is illegal. In her presentation the other night, Hedy talked about how the hospital social worker interviews and screens donors in advance of the procedure. That process can take anywhere from a few weeks to a few months once your kidney is discovered to be a match for someone in need. As Rabbi Sturm said, the donors in this remarkable process are the heroes and they should be regarded as such. Donor and recipient, though once strangers, are emotionally attached forever. It is a very special experience. Obviously, more donors are needed. 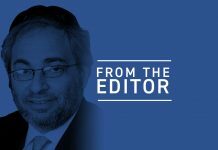 It seems like there is nothing more noble and self-sacrificing than taking this giant step that literally gives life to the donor, the family, and, in a special way, to all of Klal Yisrael.